If you spend five minutes with Kris Kiser, President of the Outdoor Power Equipment Institute (OPEI), you’ll learn he’s passionate about four things: OPEI, the industry’s GIE+EXPO, dog rescue and adoption, and his own rescue pooch, Lucky the TurfMutt. 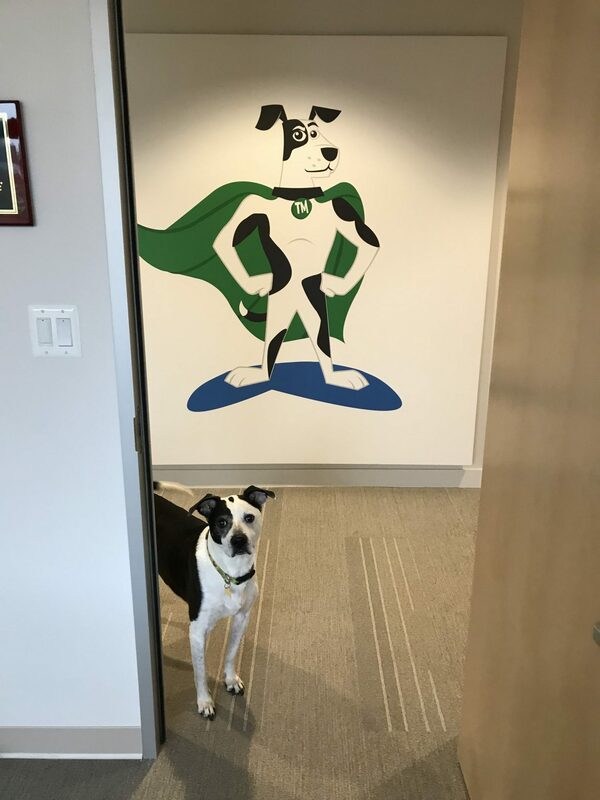 His beloved dog is the inspiration for OPEI’s environmental education and stewardship program, TurfMutt, Backyard Superhero. Mutt Madness, in partnership with the Kentucky Humane Society (KHS), will take place Thursday, October 18 from 11 a.m. to 2 p.m. in Freedom Hall at the Kentucky Exposition Center during GIE+EXPO. TurfMutt and the show also will donate a $10,000 check to KHS to support their good work in animal rehabilitation, rescue and adoption. “Why are we doing this? Well, parents know kids want a house with a yard because kids want a house with a dog,” says Kiser. “And, who knows your yard best? Your dog. Who empowers the making of that yard? The exhibitors, partners and attendees of GIE+EXPO. It made sense to pull them together.” He notes that the event is also ideal for pet adoption because thousands of GIE+EXPO attendees drive to the event, making it easier for them to bring home a rescued pet. TurfMutt and Mutt Madness also are solving a unique conundrum for GIE+EXPO: The show boasts thousands of attendees who come to Louisville annually for three days in October to the Kentucky Exposition Center. Due to the trade show’s record-setting growth over the last few years, food services have been pushed out of the exhibition halls and to Freedom Hall. But getting all of the attendees over there was going to be a challenge for show managers. That is, until Kiser seized upon the idea of holding Mutt Madness at the new GIE+EXPO lunch venue, Freedom Hall, home to so many amazing March Madness events and University of Louisville sports events. “After calls to the Kentucky Humane Society and Louisville Tourism President and CEO Karen Williams, an ardent supporter of animal rescue and adoption herself, Mutt Madness was cast,” Kiser says. “After all, supporting the adoption of rescue dogs in my favorite city, Louisville, makes sense. I’m a University of Louisville alumnus and this city has been good to me, OPEI and GIE+EXPO. This was another way for us to give back to the city that planted the seed for the show so many years ago.” Louisville has been the industry’s trade show home since its inception 34 years ago. “Our ‘show dogs’ and puppies at Mutt Madness will hail from the Kentucky Humane Society, which operates the Louisville animal shelters and will process adoption paperwork,” says Kiser. GIE+EXPO attendees are encouraged to find their next best friend and own backyard superhero during the TurfMutt event. “Paw it Forward and give back to our host city by adopting a backyard superhero in need,” says Kiser.